Lawmakers bracketed a proposal March 21 that would give neighborhoods an additional avenue to pursue improvement projects. 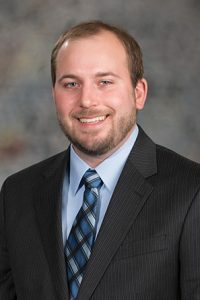 LB986, sponsored by Lincoln Sen. Matt Hansen, would authorize the development of neighborhood improvement districts in Nebraska. The districts would give existing neighborhoods more control to fund improvements and revitalization projects they deem important and that might not be a priority for a city as a whole, he said. Under the bill, a city council would draw the boundary lines of an NID, and the mayor, with the council’s approval, either would appoint a board or designate an existing neighborhood association or homeowners’ association board as the NID board. If a city declined to do so, the owners of 30 percent of the assessable property in a neighborhood could petition the municipality to create an NID. A municipality could impose an NID special assessment, with funds to be used only for a specific purpose. Authorized purposes would include landscaping or physical improvements for decoration or safety, including construction of pedestrian plazas, sidewalks, bus stop shelters, public restrooms, pedestrian overpasses or lighting. A special assessment would end if it were opposed in writing by more than 50 percent of the assessable units in an NID. • clarify that cities may amend NID ordinances to change the functions or provisions of an existing NID. Bellevue Sen. Carol Blood supported the bill. She said business improvement districts, on which the proposed NIDs are based, have been an effective tool for improving areas of Bellevue because they allow the sharing of resources. O’Neill Sen. Tyson Larson opposed the bill, saying that it would allow a small number of residents and property owners to propose a special assessment on an entire neighborhood. He filed a motion to bracket the bill until April 18, which effectively would end debate on it for this session. Sen. Laura Ebke of Crete supported the bracket motion, saying that the special assessments levied under the act would be liens on the property. Those living in an NID that chooses to have a special assessment would be required to pay it whether they agree with the proposed purpose or not, she said. The bracket motion prevailed on 27-18 vote.